Our C/n 862 was one of the 150 Dewoitine 520s built for Germans following an agreement, signed on 28 July 1941, establishing that France had to build 2,275 aircraft of various types for the Reich... 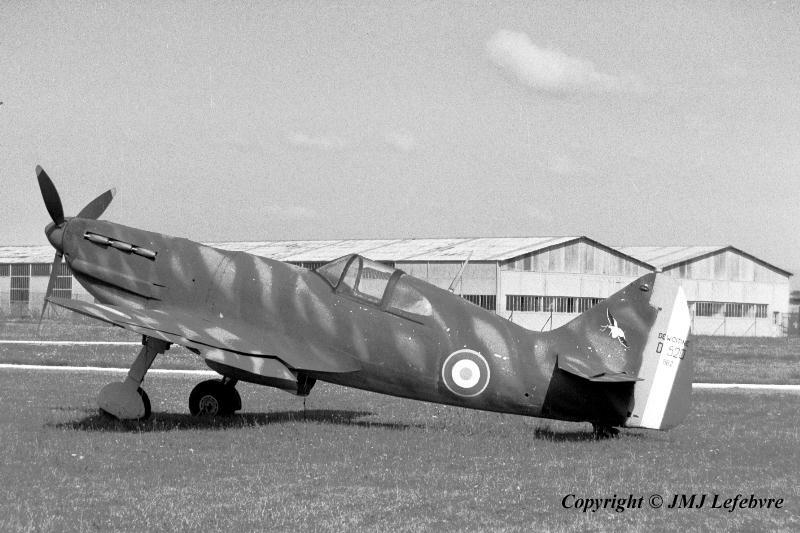 In 1944, after Germans had been ejected from Toulouse where the type was produced, our aircraft was taken by French Partisans having fought Nazis on their invaded soil and incorporated with an indigenous flying unit they had quickly evolved, the so called 'Groupe Doret' (Marcel Doret was the Chief Test Pilot of Dewoitine and so before war tested the parasol fighters of the firm and low-wing D.500s, 501s, 510s and 520s... The Group participated, with its C/n 862 being aircraft N°5, to the Battle for Royan, a town and its neighbourhood located north of the Gironde Estuary along the Atlantic Ocean where Germans frantically resisted to Allies during nine months. The D.520 fighters of this Group, it embodied several types of aircraft including Junkers Ju 88, were incorporated to GC II/18 'Saintonge' formed during 1944 which became a few later GC I/8 with the same French province name. Next the aircraft passed to School Base 704 and went on 17 September 1948 to EPAA 58 at Etampes-Mondésir before his last stay at Amiens as said with picture 9.